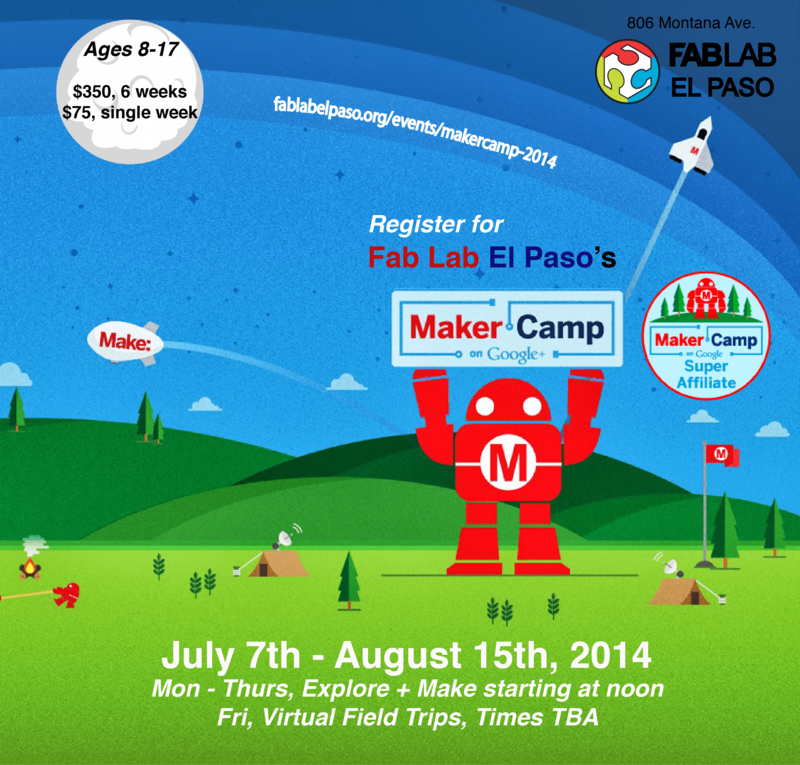 Poster from Maker Summer Camp 2014 | Fab Lab El Paso. When we make something, we’re infusing it with a little bit of ourselves, whether it’s a robot or a painting, and this week campers get to try their hands at merging form and function to create things that are beautiful as well as useful. People say it’s important to create art for art’s sake; at Maker Camp we make for making’s sake. Have you or your kids attended a Google #MakerCamp? What should we expect?